Custom spiral notebook with shorty pen is the rage of a season and marketers are buying them in large numbers. 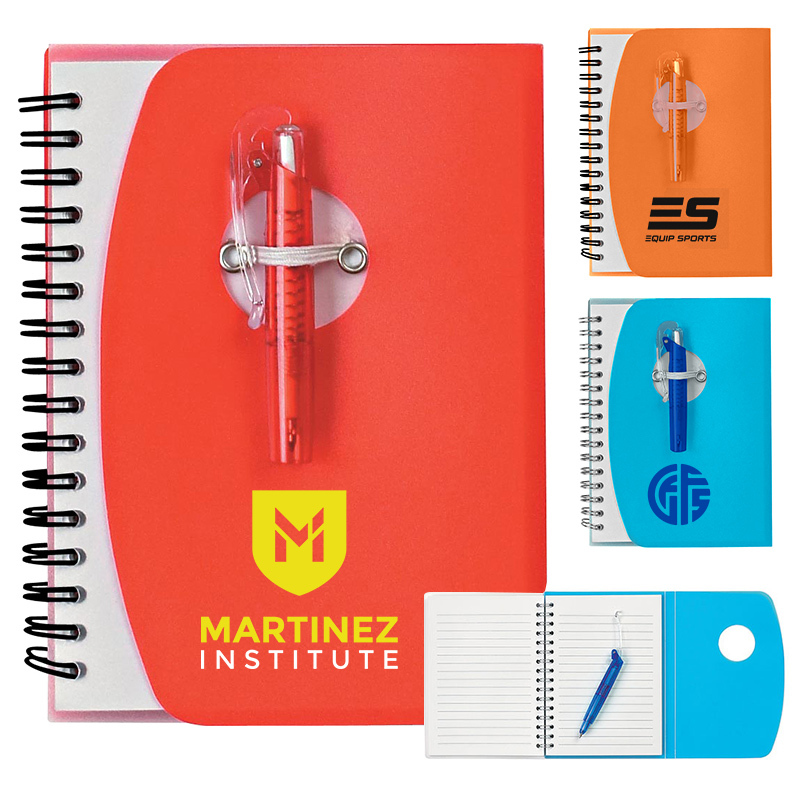 Going by trends, this spiral notebook and shorty pen is becoming favored gifting choice amongst educational facilities and other businesses targeting kids. This spiral notebook with shorty pen is easier to carry around and they can be handed out during any promotional event or regular event. Students and kids who receive it as a gift will be extremely happier to carry it around. Huge discount margins are offered on bulk purchases. Request for quote to know about your discounts. Features – 80 page lined notebook, matching flirty shorty pen with flip clip. Colors available – Frosted - Purple, Blue, Red, Orange, Lime Green, Black, or White.